What better way to bring to celebrate the start of spring than this delicious Zucchini with Corn Cilantro recipe? What better way to celebrate the start of spring than with this delicious Zucchini with Corn Cilantro recipe? It's bursting with flavor, incredibly low in calories, and easy to make. Added bonus: It's also vegan. To make this dish, heat oil in a large nonstick skillet over medium-high heat. 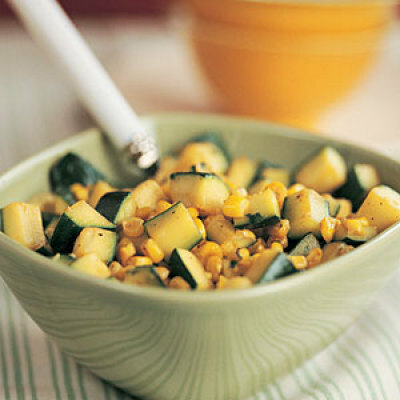 Add zucchini and corn; cook, stirring occasionally, 7 to 8 minutes or until zucchini is crisp-tender. Remove from heat, and stir in cilantro and remaining ingredients. Ingredients: Olive oil, zucchini, whole-kernel corn, fresh cilantro, lime juice, salt, ground black pepper.